Our Roma Room makes planning a small party simple. With room to accomodate up to 75 people the Roma Room creates an elegant setting for your business conference, holiday party, or shower. 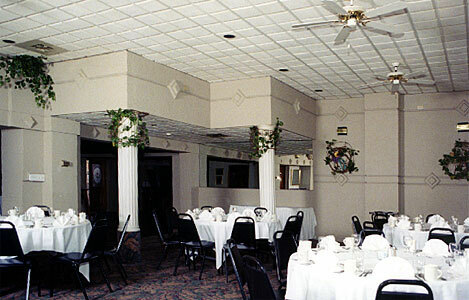 The Roma Room has a dance floor, full bar, an available podium for speaking, room for gift tables, a buffet line, and a DJ. Whatever your small gathering needs are Casa Del Roma can provide them with their friendly staff. The perfect room for parties, meetings, and banquets. 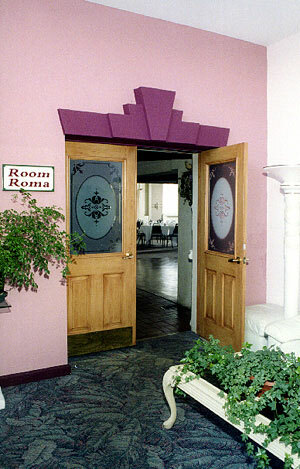 The Roma Room can seat up to 75 guests.